Replacing headlight bulbs is an essential skill to know for any car. 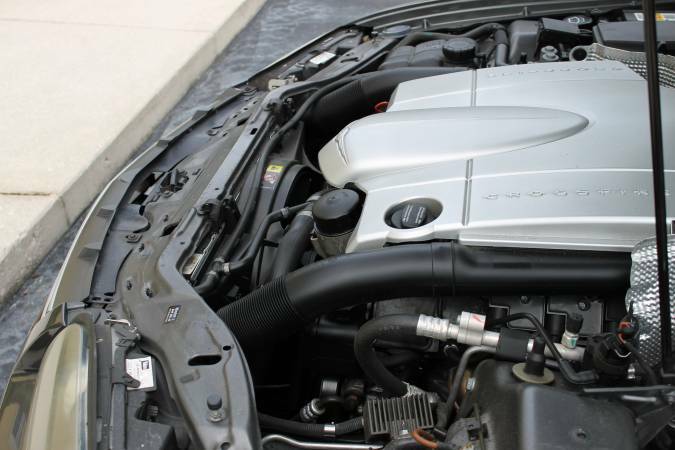 Thankfully, swapping the bulbs on the Crossfire is a quick and relatively painless procedure. 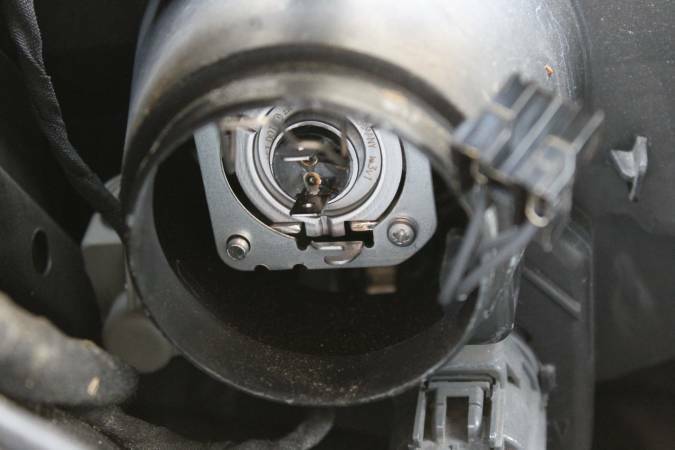 This article specifically covers replacement of the low-beam bulbs. A warning light will illuminate on the instrument panel indicating exterior bulb failure. When possible, park somewhere safe and assess whether a headlight is out. If you're driving at night, make your way home at the earliest opportunity and wait until daylight to fetch replacement bulbs. In most places, it's against the law to drive with broken headlights at night. Pop the hood and locate the headlamp assemblies. 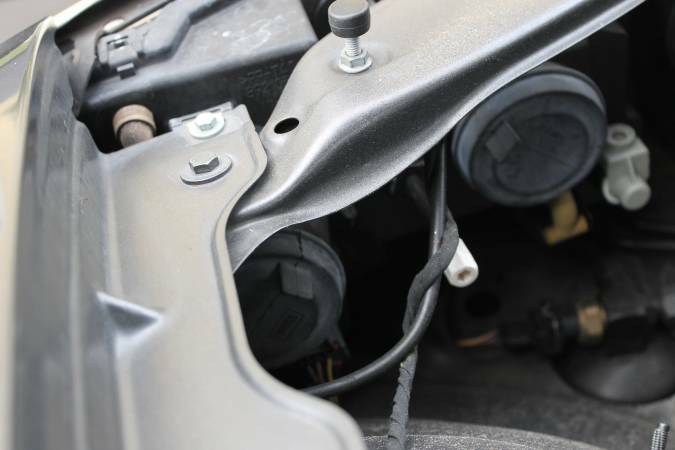 Behind each headlight and below the metal frame that supports the hood are a pair of large rubber caps shielding the bulb and electrical connectors. The outer lamps house the low-beam lights. The inner lamps house the high-beams. 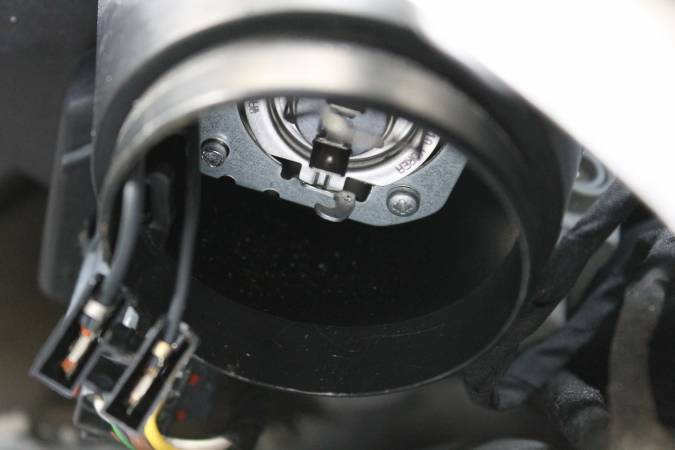 Remove the rubber cap corresponding to the light that's out - on the driver's side, low beam on the left, high beam on the right. This is mirrored for the passenger side. 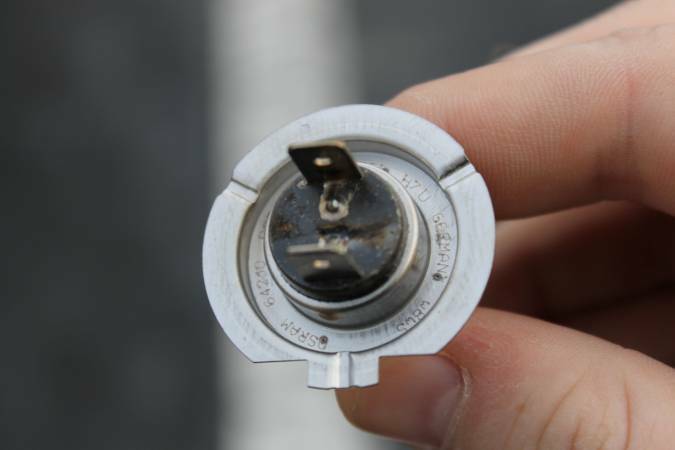 The electrical connectors attach to the plug at the rear of the bulb. It can take some effort to remove; use pliers if necessary. Wiggling also helps. Note the alignment of the wires so you re-attach it the same way later. The bulb is held in place by a clip that must be unhooked before proceeding. Push it down and to the left to unlatch it. Don't try to remove the clip completely! Just swing it up and out of the way. Once the clip is unhooked, gently slide the bulb out of the housing. Installing the new bulb is no more difficult than repeating the same steps in reverse. Locate the replacement bulb and note the tab on the rear plate. This tab corresponds to a groove in the housing where the bulb is inserted. Ensure the tab is properly aligned as you insert the new bulb, and that the bulb is properly seated. 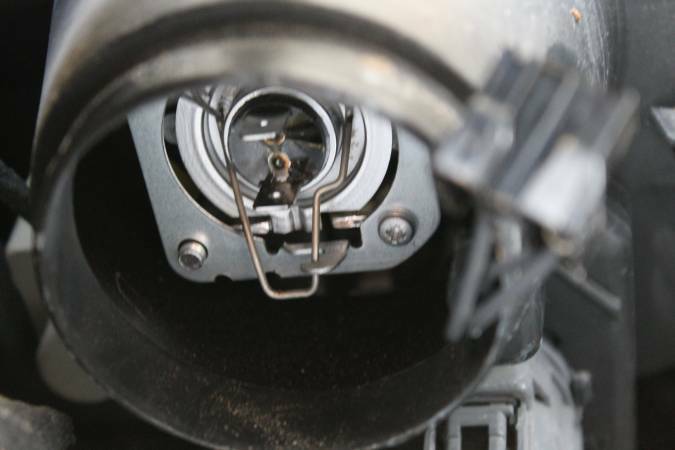 Lock the retaining clip into place over the end of the bulb and ensure it's snug and secure. 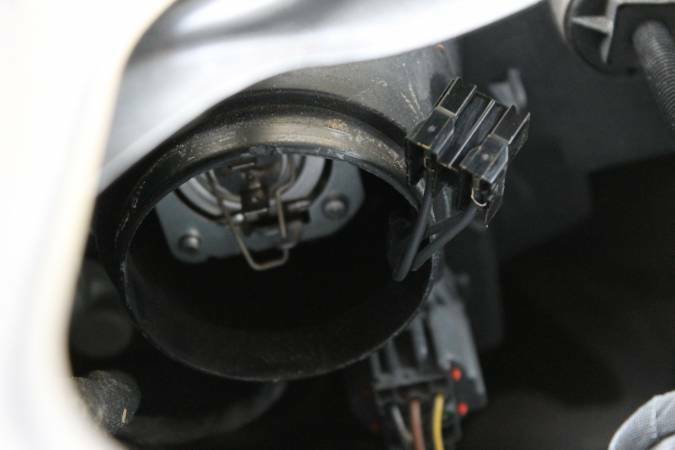 Afterwards, attach the electrical connectors to the plug on the back of the bulb. Ensure they're fitted as securely as possible. Reinstall the rubber cap over the headlight housing. Repeat the removal and install steps for both driver and passenger sides to replace both bulbs. Note that individuals with larger hands may have trouble reaching into the housing to fumble with the electrical connectors and retaining clips. For the passenger side, you can move the thick hose in front of the coolant tank as best you can for extra room. Once both bulbs are installed, start the car and turn on the headlamps. Ensure they're working properly and the exterior bulb warning light does not appear on the instrument panel. The low and high beam light use the same bulb: H7. They're typically sold in pairs from auto parts stores.